Why Filipino’s will be the largest and greatest with the YL (Young Living) Business. Young Living is officially opening up for business in the Philippines November 2018 which means thousands of Filipino’s will have a door of opportunity to create income and time freedom like never before. My main focus from here on out will be building a team of Pinoy and Pinays that live throughout the world into a team of thousands upon thousands. After 5 years, Young Living Corp. may wonder why they didn’t open in the Philippines sooner! Here are some of the many reasons why this will be the greatest time in Young Living’s history (in my opinion) in seeing an increase of business builders that create not only financial abundance, but the time to enjoy it too. Filipino’s are family oriented. Filipino’s generally have a large family and a large extended family allowing many family members to become involved in this business. Because Young Living’s products are health oriented, many Filipino’s are already used to eating healthy (for the most part) of many vegetables and fruits as part of their regular diet. Using Young Living’s products will help them focus in on healthy living even more. Millions of Filipino’s live and work abroad, giving them access to other nations and people’s that other people would not have. This will allow them to share Young Living with a diverse amount of people, not just in the Philippines, but throughout the world. Large groups of friends. 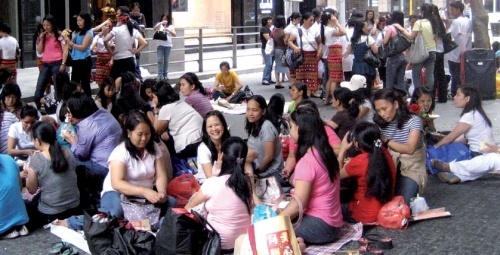 Because of the Filipino’s culture, most have large groups of friends. This will allow them the opportunity to share Young Living products and business with many of their friends that are health and business-minded, looking to improve their own lives. The work culture is very strong. Filipino’s know how to work hard. Many Filipino’s are looking for a way to break free from their financial burdens and find a way to improve their lives financially and the lives of their families. Many females work in Hong Kong, Singapore, China, and Japan as Domestic helpers. This is perfect for them, as most have Sunday’s off and get together with other Pinay’s to socialize. The YL business can be done part-time and this would be the perfect time to share with fellow Kabayans. 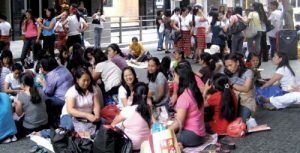 This will allow Domestic Helpers to break free of the cycle of having to be away from their families to make an income and give them an opportunity to make even more money than their current employer! (See *Disclosures for the average income for YL business builders). Filipino’s know how to celebrate and have fun. Because this is a people business, this will allow many celebrations to be enjoyed. Earned Cruises, recognition trips to the USA Young Living facilities and farms. Being able to get together as a team building process to enjoy Pizza out or Jollibee’s. Filipino’s are not only hard working but very intelligent too. Many Filipino’s have college degrees but not the opportunity to use them in their Country. This business will allow them to use their leadership skills in building and supports like-minded people in building their own organization. They have a desire to see their children blessed by their efforts. Because Young Living is your own business, it can be willed and passed on. (See Corp. for details). These are only ten of the many reasons why YOU should get started as a business builder in Young Living. Be one of the first to join my team! If I invited you to this page or you just happened upon this page and want more information, you can Email me at DexterDBlack@comcast.net If someone else invited you, please get back to the person who sent you here for further ordering or informational questions. ** Must become a Wholesale Member with an order of at least $50.00 for the year. This entry was posted in Young Living Business and tagged Filipinos and Young Living, Philippines, Side income for domestic helpers, Young Living business. Bookmark the permalink.